First we started assembling the world's best lotteries to bet on, then we brought your our exciting range of scratch cards. Now we're bringing you two exciting new Keno games to bet on; German Keno and Polish Multi Keno, for even more chances to win big every day at Lottoland. In this article, since it's currently Oktoberfest, we're going to look at the hugely popular German Keno. Bet every single day for huge cash prizes with two exciting new Keno games at Lottoland. New to Keno? Don't worry. Although, at first glance, the betslip might look complicated once you get your head around the rules you'll find it very easy and fun to bet on. Keno is a lottery style casino game that originated hundreds of years ago in China. Chinese migrant workers introduced the game to the west while working on the American railroads. The game proved immensely popular in the old west and remains so today. Not only is Keno played in casinos worldwide, keno-style games, such as German Keno, are also very popular lottery games. German Keno is a Keno game from, you guessed it, Germany. Indeed it's one of the country's most popular lotteries as it offers the chance to win big every day for a low cost. To bet you pick a minimum of two and a maximum of ten numbers from a range of 70. Alternatively click the Rest+1 button for a random quick pick, just as you would with a regular lottery. Except, unlike a regular lottery, German Keno has a unique quirk that allows you to win without actually winning – but we'll get to that in a moment. The minimum stake is £1, but, as this is a casino-style game you can also up your stake, from £1 to £2, £5 or £10. 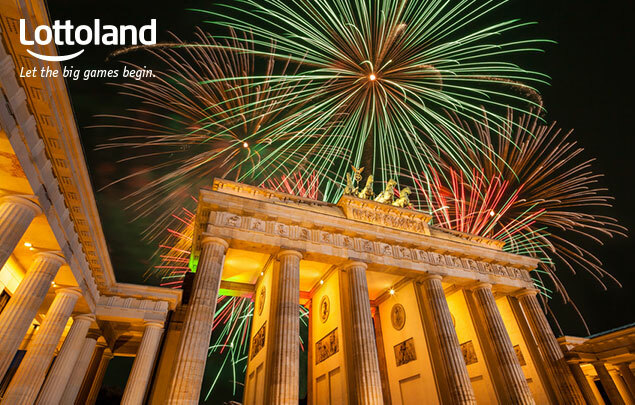 You are then betting on the results of the German Keno draw, which is held every day at 8:40pm (9:40pm German time) with results available on Lottoland shortly afterwards. German Keno – Where You Can Win, Even Without Winning! Ok, you're asking, so what was all that about? Win without winning – sounds crazy right? Well, it's actually quite simple. See, because the chances of you not getting a correct number when you bet eight numbers or more are quite slim, the game is designed so that, if you bet eight or more numbers you still win three quarters of your stake value. So, if you pick eight numbers and get zero correct numbers you'll still get £0.74 back on a £1 stake. If you stake £10, you get £7.40 back! So in essence German Keno is the Holy Grail of lottery games – one that still rewards you even if you get none of the numbers right! German Keno also has an extra game called Plus 5. This game costs an extra 75p regardless of how much you choose to stake in the main game. Since it's so cheap, and since you can win large cash prizes, adding the extra game is highly advisable. The bonus game is based on the results of a separate draw and, as with many lotteries in that neck of the woods, including the main German Lotto and the Austrian Lotto, the bonus game is based around your betslip number. 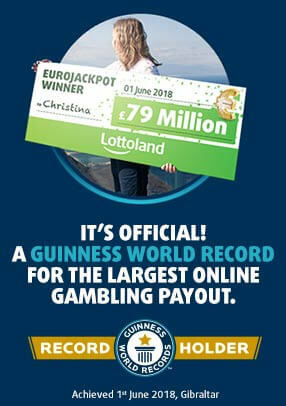 In the official version in Germany this number would be printed on your betslip. At Lottoland, however, you can get a virtual betslip number which you can change, if you so wish, by clicking on the magic wand icon to the right of your number. The numbering works from back to front and must also be in the exact sequence, so if you get the first four numbers in a row, you don't get a prize, but if you get the last number, you do. Ideally you'll want to get all five numbers in a row, from the last to the first, to hit the main Plus 5 jackpot which, after conversion to pounds, is worth approximately £3,684. So, in a nutshell, you pay only 75p and pick just five numbers to win one of five prize tiers, the highest being worth over three and a half grand. German Keno offers an interesting twist on the casino favourite and represents an interesting and fun diversion from your regular lottery games. It's also simple and cheap to bet and lots of fun. With German Keno you get lots of ways to win, including a bonus game for just 75p. Plus also having ability to raise your stake not only adds to the excitement, it can really add some gravitas to your wins too! Best of all you can enjoy German Keno every single day of the week, from as little as £1 per bet – so if you're hankering for something a little different German Keno is just the thing you need!